The turquoise waters of the Aegean gently lap the soft golden sands that enticingly await outside your door. The intimate Sani Asterias are sublimely elegant with each luxuriously styled suite designed to make your stay truly memorable. Michelin-starred executive chefs have excelled themselves with a menu that both surprises and delights, and our team take great pleasure in meeting your every need. 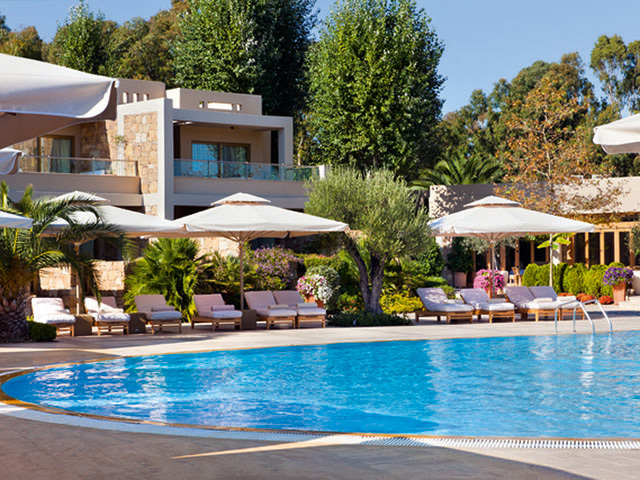 Guests can enjoy an even more luxurious experience when they check into Sani Asterias this year. 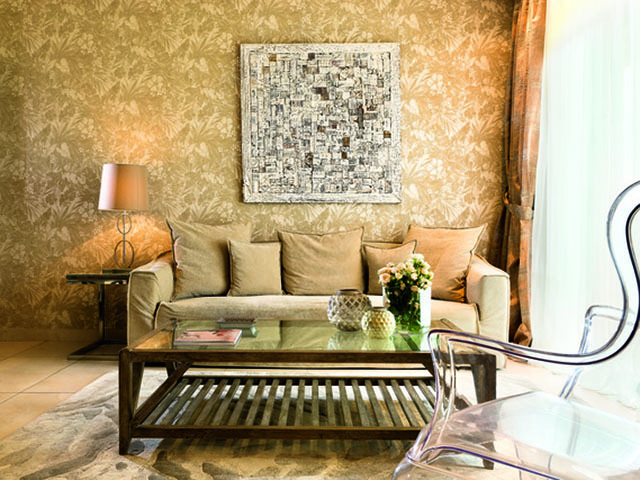 Every one of the 57 superb suites have enjoyed a very considerable investment. From the luxury bathrooms to the spacious bedrooms, the refurbishment means a lot to look forward to. 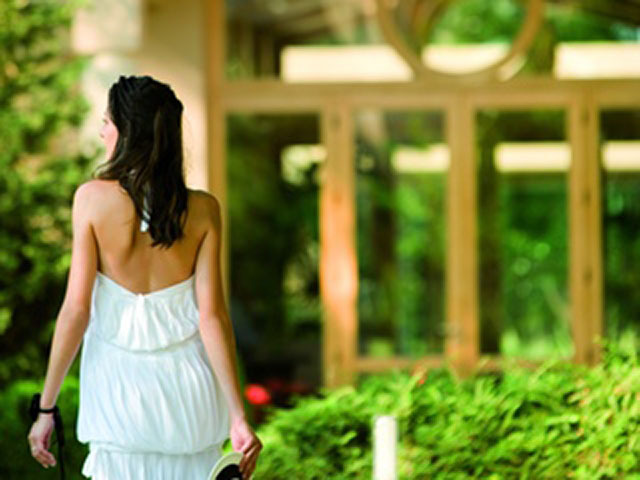 You deserve it, so treat yourself to a visit to MySpa for a pampering from our experienced consultants. 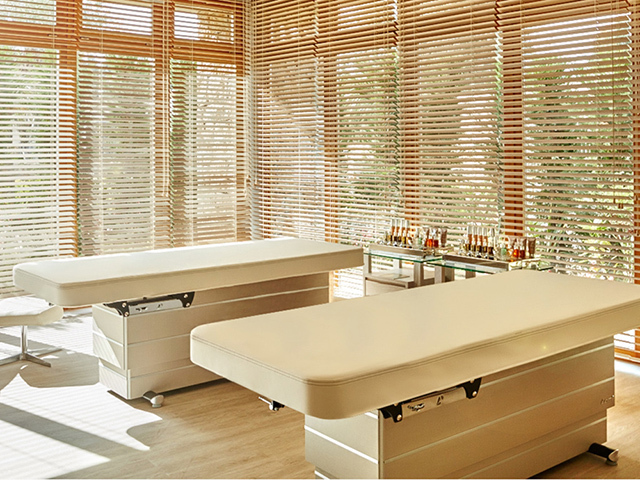 You’ll find a range of soothing massages and treatments designed by the exlusive French brand Anne Semonin, using renowned natural products that feed your skin and leave you feeling wonderfully refreshed and revitalised. 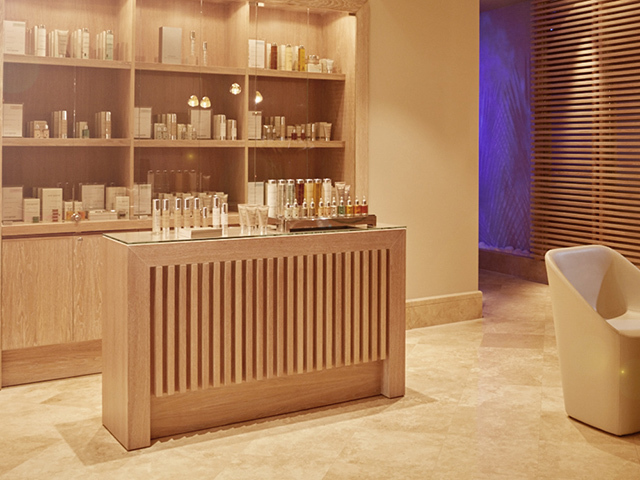 You can also refresh those tired limbs with a visit to our thermal suite which offers both sauna and steam rooms. You can workout in the fitness room or simply soak away the stress in the Jacuzzi. There’s everything you could need to totally spoil yourself including hair, beauty and nail salons. 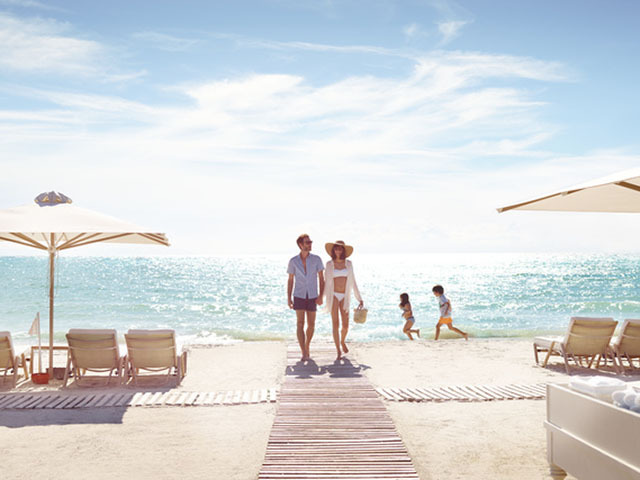 There’s so much to do at the Sani Beach, so you’ll never have a dull moment. For guests who enjoy a good workout, our fitness studio has a good selection of cardio machines whilst our watersports centre offers an exhilarating mix of activities including waterskiing and parasailing. If you love nature, a visit to the bird sanctuary in the nearby wetlands is a must. For those who prefer to take things a little easier, enjoy a massage on Bousoulas Beach, relax on a sunset cruise or dance till the early hours at our white night beach parties. There’s also live music at various venues several times a week along with some great dance and entertainment at the Garden Theatre. Archery : Try your hand at one of the world’s oldest sports and see how you match up to Robin Hood. Our expert tutors will provide you with all the tuition you need to hit the target every time. We supply your bow and arrows and all safety equipment (Archery is available for guests over 16 years old). Bird Watching tours : Watch some of the amazing birds on a private tour in the Sani Wetlands area. As a memory of this fantastic experience, Sani Resort has published the “Sani Wetlands” coffee table book which is complimentary to all guests attending the tours. Fitness studio/gym : Fitness studios at My Spa of Sani Beach and The Spa Suite of Porto Sani feature the latest range of Technogym cardiovascular training equipment. Both offer a wide variety of classes for all levels of fitness. Programmes and training regimes include personal training, yoga and aqua aerobics. 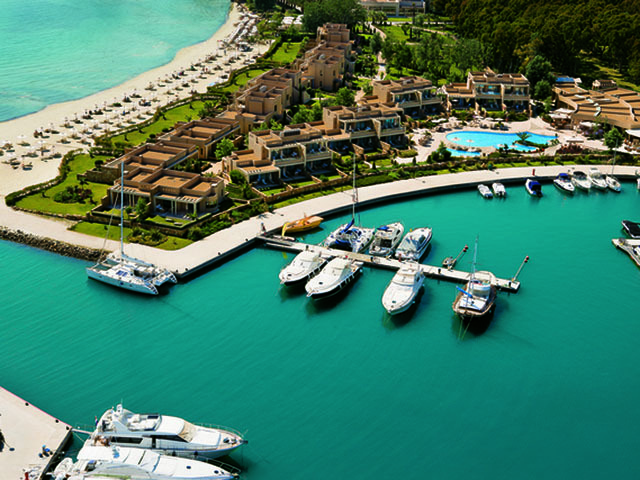 The fitness studio at Sani Club benefits from floor-to-ceiling windows overlooking the Aegean Sea and Mount Olympus. All our fitness studios are open to guests over 16 years old. Football : Youngsters and adults alike can brush up their football skills and have hours of football fun in our five-a-side football court at the Sani Sports Centre near Sani Beach. Football Academy : The Ultimate football experience for 5 -14 year-olds has arrived. 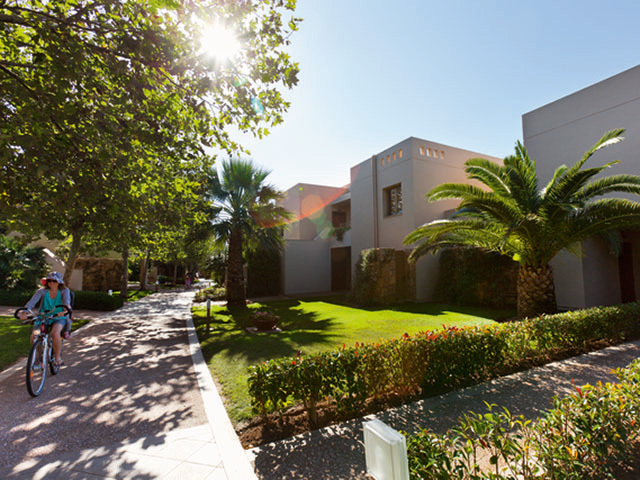 Sani Resort offers daily football sessions where children are coached by a team of professionals with English premiership team coaching experience. The inspiring coaches of the WWKC Football Academy ensure the coaching sessions are fun yet challenging, with dribbling, goal shoots and five a side football games. 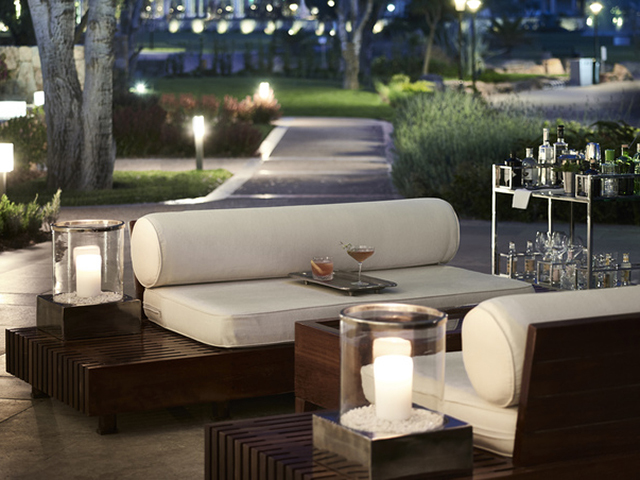 The sessions take place in the shaded grounds of Sani Resort, on a bouncy AstroTurf field. A great opportunity for your children to improve their football skills while on holiday. 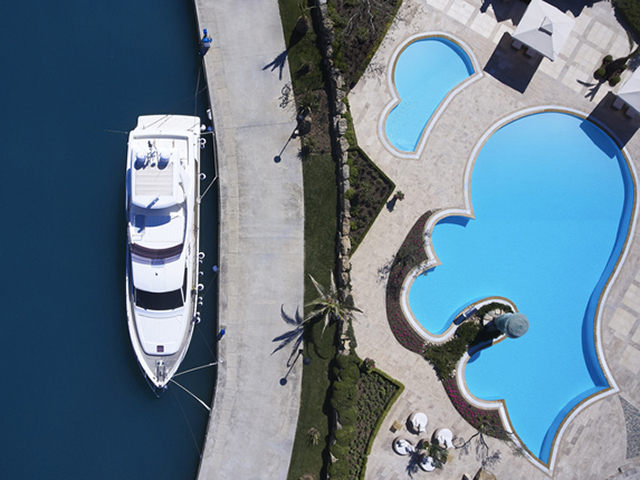 Motorised water sports : At Sani you’ll find a breathtaking range of powered watersports including waterskiing (BWF certified), wake boarding and parasailing accessible through our watersports centres at Sani Beach. There are also fantastic fun rides that all the family will absolutely adore including pedalos and ringos! Mountain-biking : At our Mountain biking centre biking-fans will find everything they need – whether for groups or individuals, for the young or old, and for families. There’s an exciting bike-trail to follow by Bousoulas Beach. Please ask for a map at the reception desk. Non-motorised water sports : For those who enjoy the exhilaration of a challenge, Sani offers you some great facilities including windsurfing, catamaran and kayaking. We offer tuition for all levels including absolute beginners and, remember, our windsurfing and catamaran centres are both VDVS certified. So make sure you join us for some great fun. Paddle Board Yoga lessons : The lessons are offered on request and taking place in the swallow water of Ammos beach, free of charge. Paddle Board Yoga lessons include paddling (excellent for the core, back and arms) and yoga practice on the board. Because the poses are performed on a moving surface, you will be engaging muscles that you normally wouldn't. It's far easier to find that inner quietude floating on the quiet waters of Aegean , than in a crowded, yoga class. And best of all, tumbling from your board proves to be a quick way to cool off. Private boat tours : The Aegean promises some breathtaking scenery and some of the most crystal clear waters in Europe. So for an extremely enjoyable experience in the company of family and friends you can take to the sea aboard the Sani Swan. This fabulous craft is available for private skippered cruise rental for up to seven guests. All cruises depart from Sani Marina and are subject to weather conditions with the skipper’s decision being final. Sailing trips : The Jeanneau Sun Odyssey 35 is a fantastic sailing boat; select from a big range of sailing trips available, from sailing day to the nearby Athitos village to sailing to Agion Oros gulf or combine your sailing day with scuba diving or snorkelling. Sani Water Park : Located next to Sani hill, the Sani Water Park will keep your children entertained for the entire summer with some of the best water activities. Children must always be accompanied by an adult. 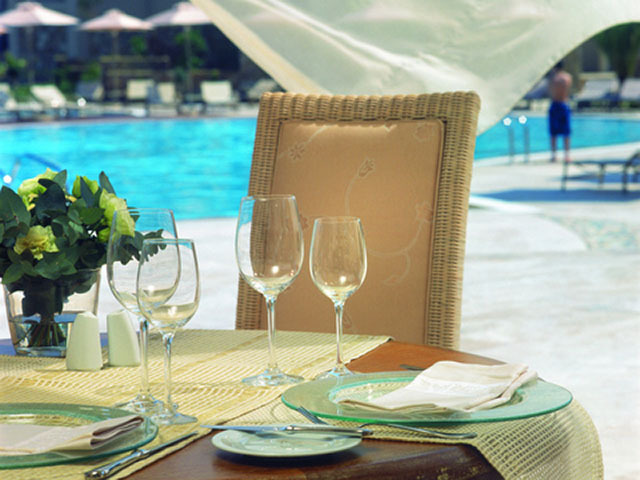 As with everything at Sani Asterias, the cuisine is of the highest standard, reflected by the use of only the freshest local produce and all overseen by our Michelin-starred executive chefs. The results are naturally outstanding with a highly imaginative menu and equally fine wine list. Of course, if you would like something you don’t see, just ask and our chefs will happily oblige. 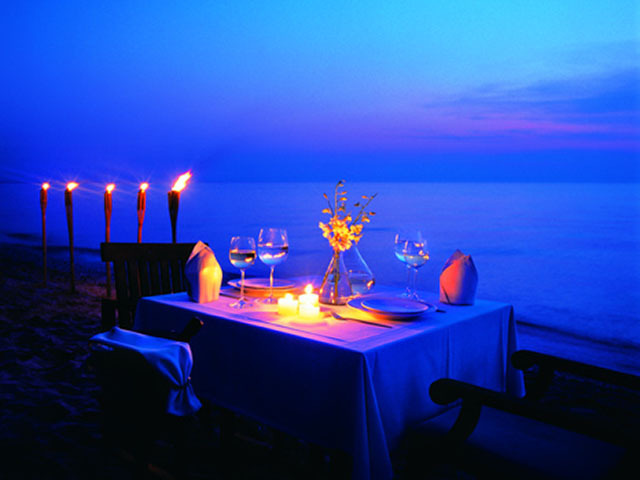 And should you wish to enjoy an intimate dinner on the privacy of your terrace then this is easily arranged. 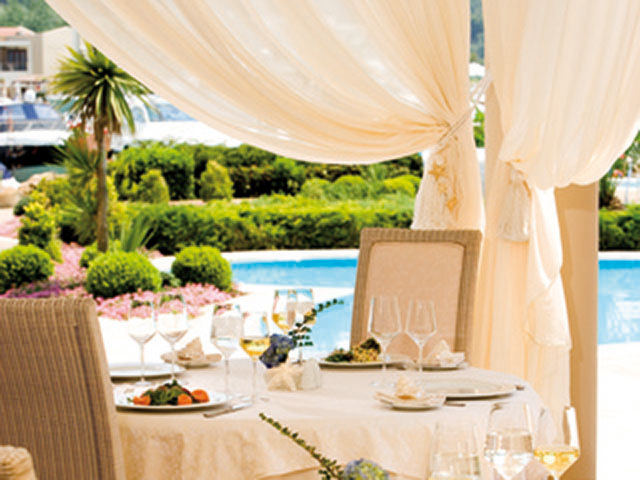 The veranda of the elegant Water Restaurant overlooking the Marina is a serene setting in which to explore this exceptional a la carte menu created by the two Michelin-starred Grand chef, Jacques Chibois, in cooperation with the awarded greek chef Ioannis Parikos. 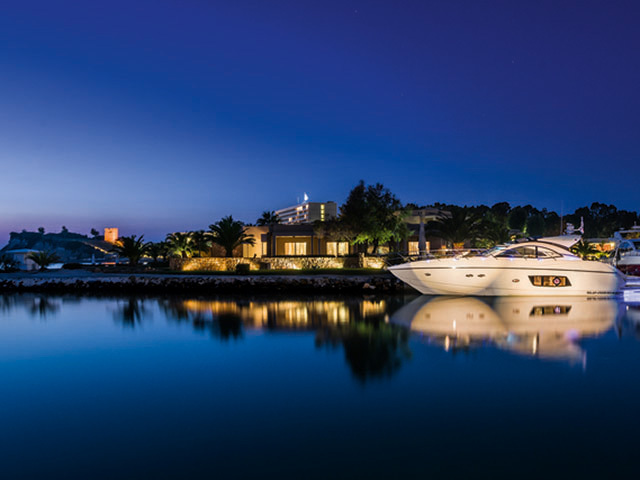 A unique addition this season, the exciting adults-only indoor area - Over Water - is all set to welcome guests for breakfast and dinner in a vibrant atmosphere, offering stunning views over Sani Marina. A range of beautifully appointed suites, with a clean, contemporary style, make up the fourty eight spacious and pleasingly individual guestrooms. 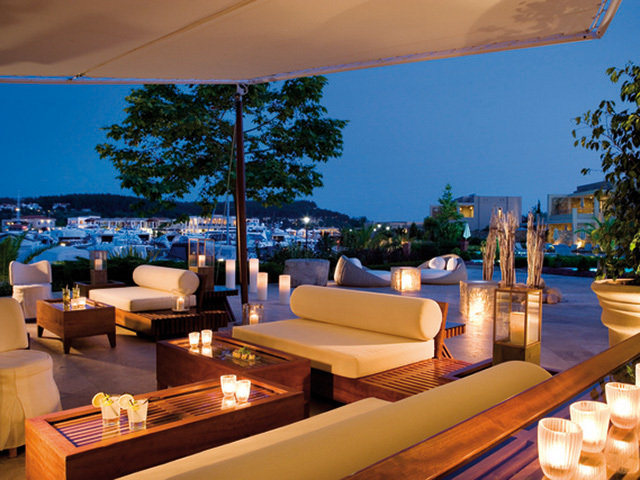 Each one with a private terrace that makes an ideal setting for an intimate candlelit dinner. Your stay will be thoroughly relaxing with a dream bed and luxurious mattress, along with a choice of pillows. The opulent marbled bathroom comes complete with a sensual range of bath essentials to spoil yourself in the refreshing rain shower or Jacuzzi soaking tub. 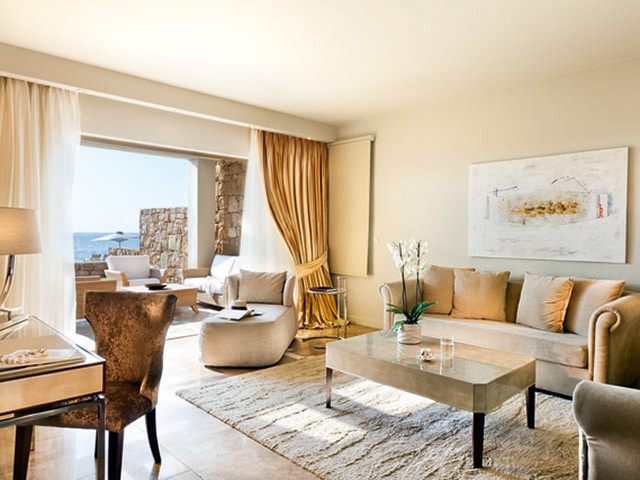 Junior Suite : These spacious suites offer the highest levels of luxury throughout and views overlooking Sani Marina or the Aegean. 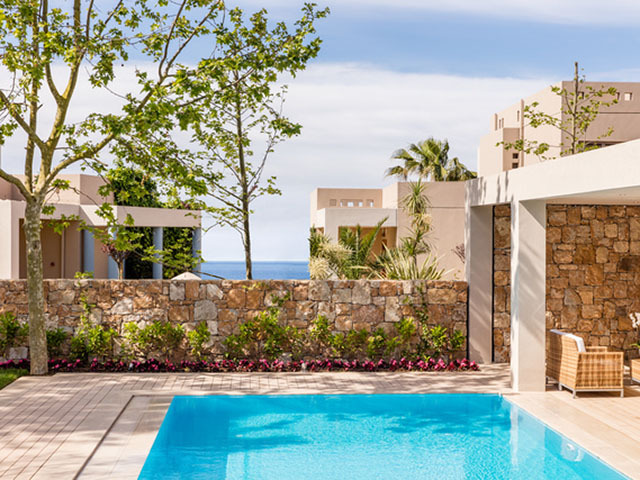 Suite : Exceptionally spacious ground floor suites with separate sitting room, and own private garden, offering magnificent views of the Sani Marina or the Aegean. Deluxe Suite : Magnificently designed suites on the ground floor offer a spacious sitting room and a dining corner, bedroom with walk-in wardrobe, two bathrooms and a private garden. 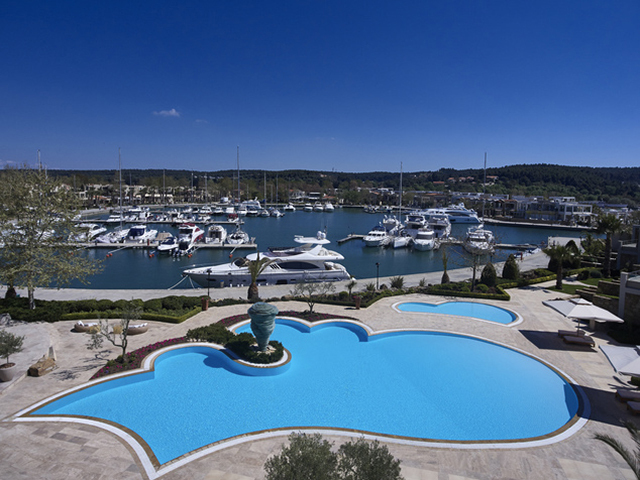 Deluxe Family Suite Marina Front : Fully refurbished, these magnificently designed suites on the ground floor offer spectacular views to the Marina. 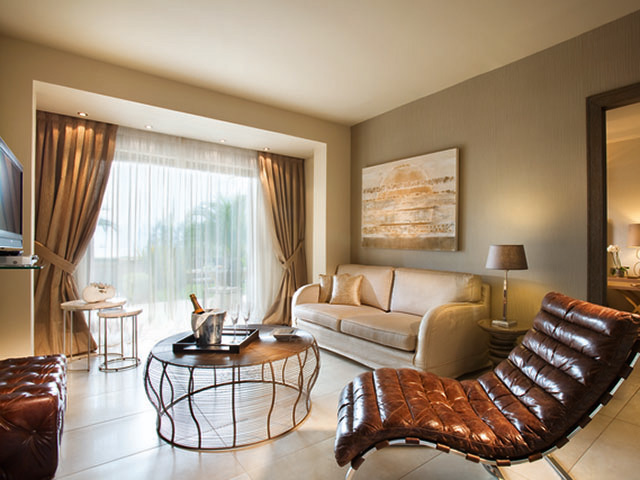 Two Bedroom Family Suite : Spacious suites with the highest levels of luxury throughout and direct access to the Sani Asterias beach. Two bedrooms family suite features a sitting room, two bedrooms (one bedroom with walk-in wardrobe) and two bathrooms. 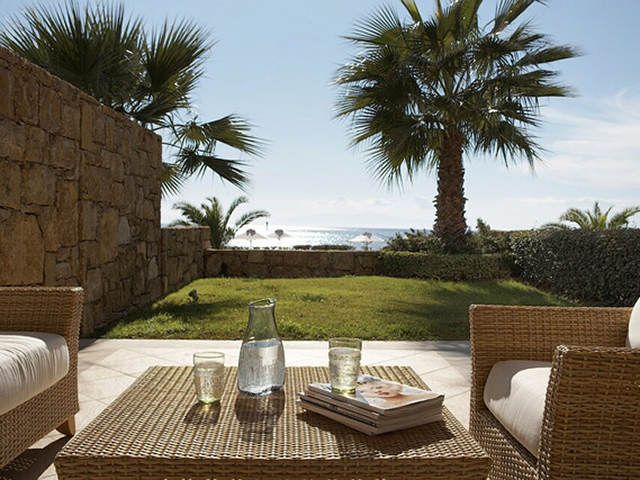 Deluxe Family Suite Beach Front : Exceptionally spacious suites on the upper floor with spectacular views of the Aegean. Deluxe family suite beach front features a spacious sitting room with a dining corner, two bedrooms (one bedroom with walk-in wardrobe) and two bathrooms. 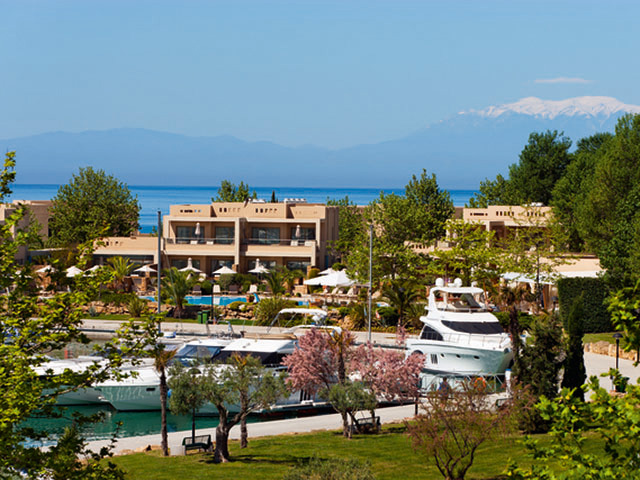 On the West coast of Kassandra lies the impressive world class Sani Asterias. 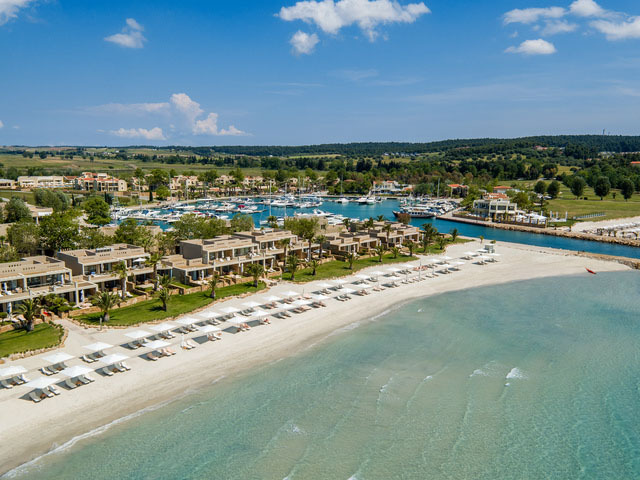 It is built around the picturesque Sani Marina with its shops, galleries, restaurants, tavernas and bars, it offers a variety of sports and entertainment facilities. 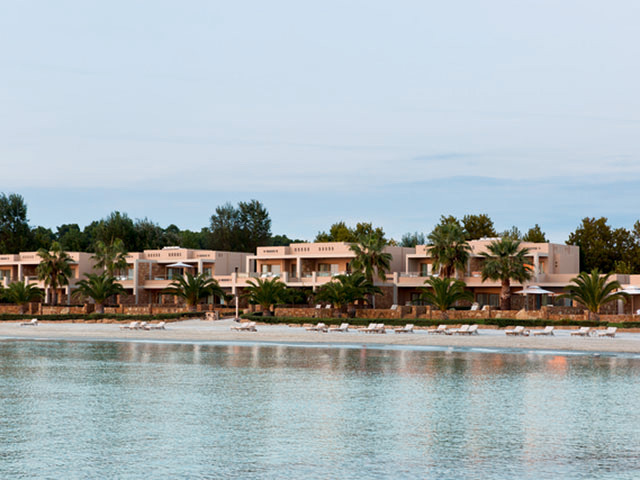 This new Boutique hotel, Sani Asterias at Sani Resort is located directly on its own beach and private marina. Special Offer up to 30 % Reduction !! VERY LIMITED TIME OFFER !! Super Early Bird Offer up to 40% Reduction !! LIMITED TIME !! 13.09.19 - 06.10.19 !! Book NOW and save up to 40% !! The offer is valid for the stay : 13.09.19 - 06.10.19 !! VERY LIMITED TIME OFFER !! SUPER OFFER !! Up to 45% Reduction ! !LIMITED TIME !! 12.05.19 - 18.05.19 !! Book NOW and save up to 45% !! The offer is valid for the stay : 12.05.19 - 18.05.19 !! VERY LIMITED TIME OFFER !! Super Deal up to 45% Reduction !! LIMITED TIME !! 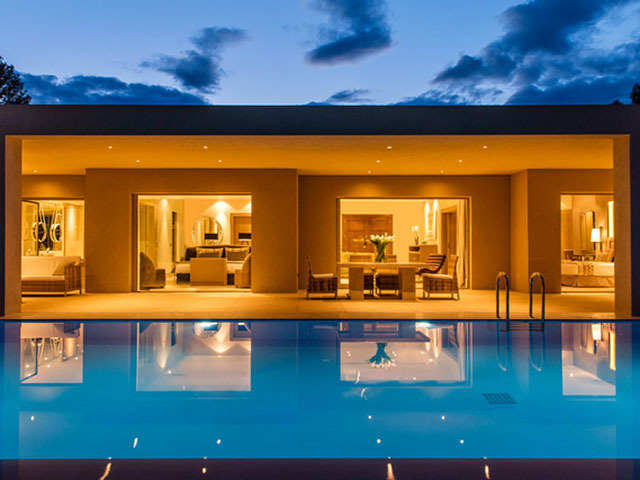 Special Offer up to 45% Reduction The offer is valid for the stay : 25.04.19 - 11.05.19 !! VERY LIMITED TIME OFFER !! Super Offer up to 50% OFF !! LIMITED TIME !! PLUS extra persons FREE !! Book NOW and save up to 50% !! PLUS Extra adults & Children stay FREE of chagre !! 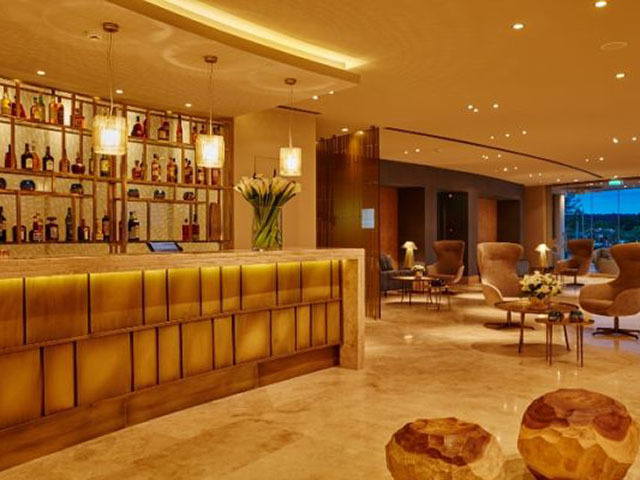 Valid for the stay : 25.04.19 - 25.07.19 & 25.08.19 - 27.10.19 !! Deluxe Family Suite 2Bedroom Marina Front !! Special Offer FREE Dine Around !! Complimentary Half Board Dine Around !! Valid for the stay : 15.10.19 - 27.10.19 !! LIMITED TIME OFFER !! Super Offer up to 50% OFF !! LIMITED TIME !! 07.10.19 - 16.10.19 !! Special Offer up to 50 % Reduction !! The offer is valid for the stay : 07.10.19 - 16.10.19 !! VERY LIMITED TIME OFFER !! Special Offer Up To 40% !! LIMITED TIME !! 17.10.19 - 27.10.19 !! Special Offer up to 40% Reduction The offer is valid for the stay : 17.10.19 - 27.10.19 !! VERY LIMITED TIME OFFER !! Special offer up to 40% OFF !! LIMITED TIME !! 01.06.19 - 14.06.19 !! Special Offer up to 40% Reduction The offer is valid for the stay : 01.06.19 - 14.06.19 !! VERY LIMITED TIME OFFER !! Special offer up to 30% OFF !! LIMITED TIME !! 19.05.19 - 31.05.19 !! 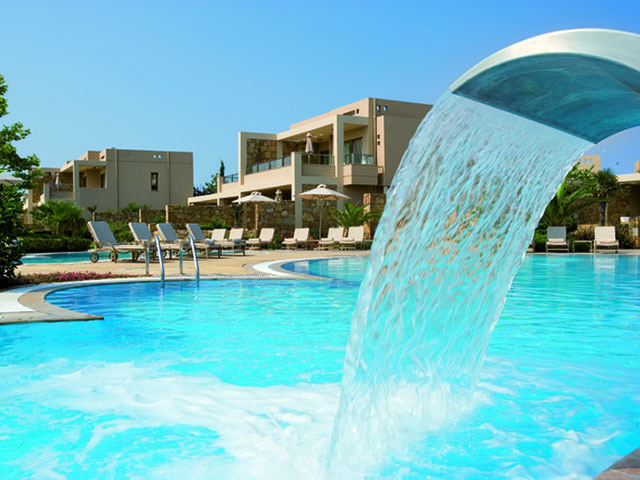 Special Offer up to 30% Reduction The offer is valid for the stay : 19.05.19 - 31.05.19 !! VERY LIMITED TIME OFFER !! Special offer up to 30% OFF !! LIMITED TIME !! 28.06.19 - 07.07.19 !! Special Offer up to 30% Reduction The offer is valid for the stay : 28.06.19 - 07.07.19 !! VERY LIMITED TIME OFFER !! Special offer up to 35% OFF !! LIMITED TIME !! 25.08.19 - 12.09.19 !! Special Offer up to 35% Reduction The offer is valid for the stay : 25.08.19 - 12.09.19 !! VERY LIMITED TIME OFFER ! !